Now you can put our outstanding reputation for service and reliability to work for you. 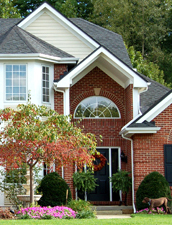 By using Back Creek Home Inspections, you benefit from experienced inspectors that deliver reports that meet or exceed the state standards. We also encourage your presence during the inspection. By being present at the inspection our professional inspector can familiarize you with the home and explain things to you as they move through the house. All of our inspection reports must be authentic and stand up to critical examination. We continue to build our reputation one inspection at a time to ensure you get the quality service you expect from us. We will provide you with Excellent,Professional Customer Service and we will provide you with an easy to read and easy to understand report. We do a lot of Home Inspections in the Woods Resort Area and the town of Berkeley Springs so no matter if its a Chalet/Cabin in the Woods Resort or a Historic Home in Berkeley Springs we will take our time and do a very thorough Inspection.